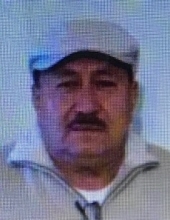 Raul Castrejon Andrade, 63, passed away November 17, 2018 surrounded by his family in Houston, Texas. Raul was born on June 20, 1955 to parents Marcial Castrejon and Obdulia Andrade in Mexico. He married the love of his life, Maria Fajardo, on May 4, 1975 in Acapulco, Mexico and they began raising their family together. Raul was a dedicated man of God who lived his life serving the Lord as well as his fellow man. He was a member of Sterling Wood Church and enjoyed spending time with his church family. Raul had a loving and giving heart and was always looking out for other’s well-being. He was a strong, hardworking provider for his family and he always enjoyed spending time together with them. Raul will be remembered as a loving husband, father, grandfather, brother, and friend to many. He is preceded in death by his parents. He is survived by his wife of 44 years, Maria Castrejon; children, Raul Castrejon Jr. and wife Iris, Christian Castrejon and wife Cristal, Bryan Castrejon and wife Jennifer; grandchildren, Christian, Doeny, Oasis, Gahell, Bryan Jr., Ryan, Noah, Raul III, Nalani, Aaron; numerous brothers, sisters, nieces, nephews extended family members and friends. A celebration of Raul’s life will be held at Sterling Wood Church on November 30, 2018 at 6:00 p.m. with Senior Pastor Aaron Morris officiating. To send flowers or a remembrance gift to the family of Raul Castrejon Andrade, please visit our Tribute Store. "Email Address" would like to share the life celebration of Raul Castrejon Andrade. Click on the "link" to go to share a favorite memory or leave a condolence message for the family.